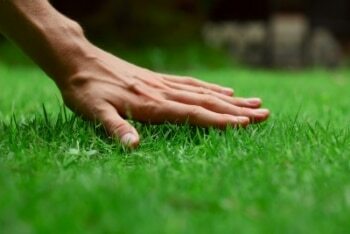 By engaging the services of a professional, you can avoid such common lawn care mistakes as “scalping” your lawn by cutting it too close. Ryno Lawn Care, LLC weekly lawn care includes a gentle one-quarter-inch trim, weed eating and edging and quick and thorough blowing away of excess growth and clippings. You can enjoy this great service at affordable prices determined by the size of your lot and the complexity of your landscaping. Instead of struggling to keep your lawn in shape, why not enjoy the professional services of Ryno Lawn Care, LLC? Keeping your lawn in great shape takes perseverance, work and patience along with a regular schedule of weekly lawn care. There are lots of problems that can come up to sabotage your efforts, and you may often be at a loss to understand what you should do. That’s why it’s always a good idea to leave your weekly lawn care needs to the professionals at Ryno Lawn Care, LLC. Why is Lawn Aeration Important? If you are determined to do your lawn maintenance on your own, there are a number of things you will need to pay attention to closely. Weed removal is just one of the challenges facing homeowners intent on tackling lawn care. It’s important to get all the roots out; however, this may leave you with some bald spots in your yard. You’ll need to cover these over with a good quality of compost and add some seed to fill in the bald spot. Seasonally, you may want to give your whole lawn some fertilization treatments with compost and reseed it to get an even appearance. Mowing is an integral part of weekly lawn care; however, many homeowners overdo it by mowing the grass too short in hopes of having a mowing job that will last. This is a big mistake because it can really damage the grass. Too many mistakes of this type can leave a homeowner scratching his head over when to mow and when not to mow. If you reseed your yard, you will want to give it some time to grow back, but if you don’t mow, your mature grass will overgrow and this might interfere with the growth of your new grass. All the more reason to engage Ryno Lawn Care, LLC to provide full service lawn care that includes scheduled lawn fertilization and reseeding at the appropriate time of year. 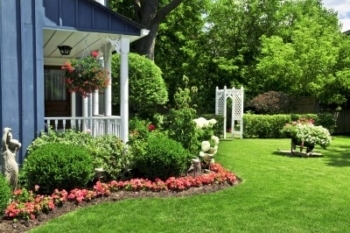 When you hire a professional lawn care service such as Ryno Lawn Care, LLC, you will get years of professional experience and complete knowledge of specific techniques to make the most of your lawn and landscaping in any circumstance. The pros know how to address overgrown grass without killing it and how to water parched grass just the right amount without water-logging it. Ryno Lawn Care, LLC professionals come to you with the best equipment in tip-top condition to provide the most professional and attractive results. They can give you good advice on improving the quality of your lawn and landscaping while taking care of necessary weekly lawn care maintenance.